This is a mind-blowing combo from Ferns N Petals. 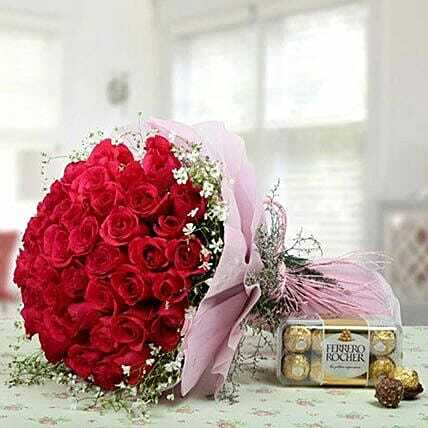 It includes a bunch of fresh long stem red roses and yummy ferrero rocher chocolates. Be it any occasion, you can gift this combo to make your loved ones happy.